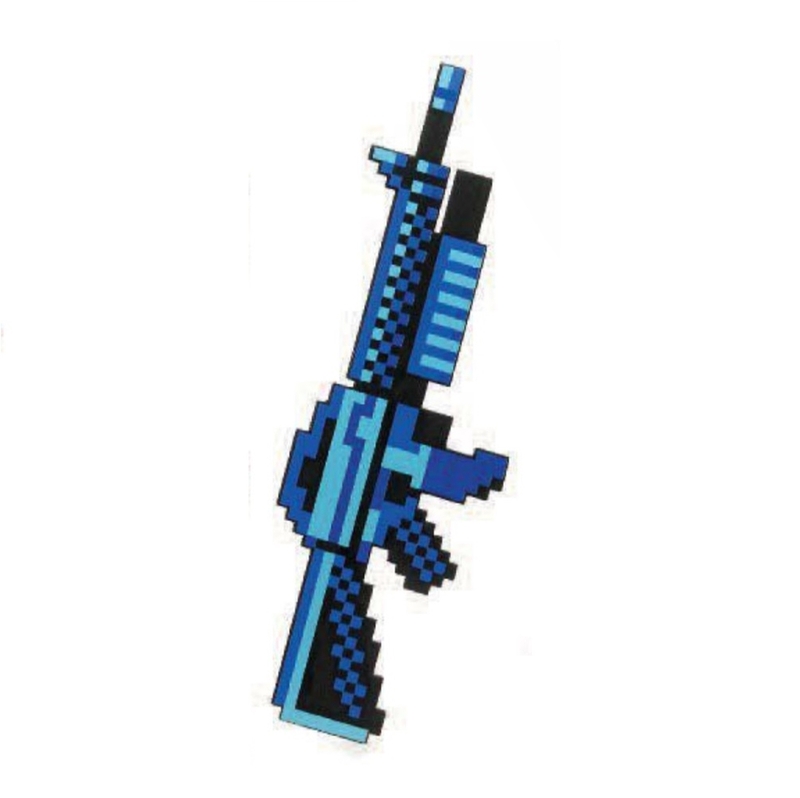 No 8-bit warrior costume is complete without this Pixelated Rifle 30in. The foam weapon accessory measures 10 inches in width and 30 inches in length. 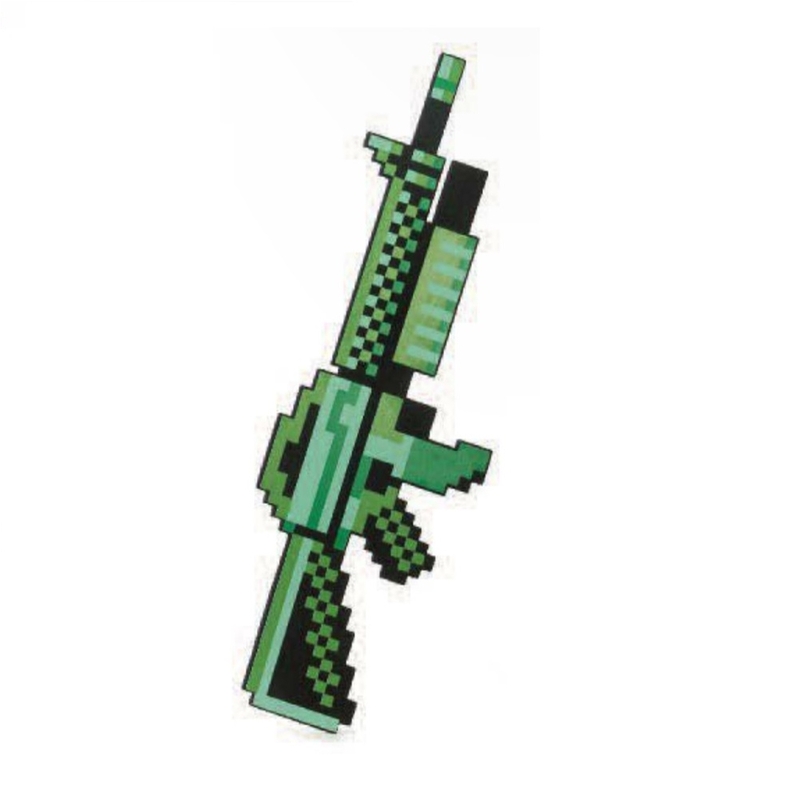 It features a double-sided, pixelated rifle design available in green, blue or pink. 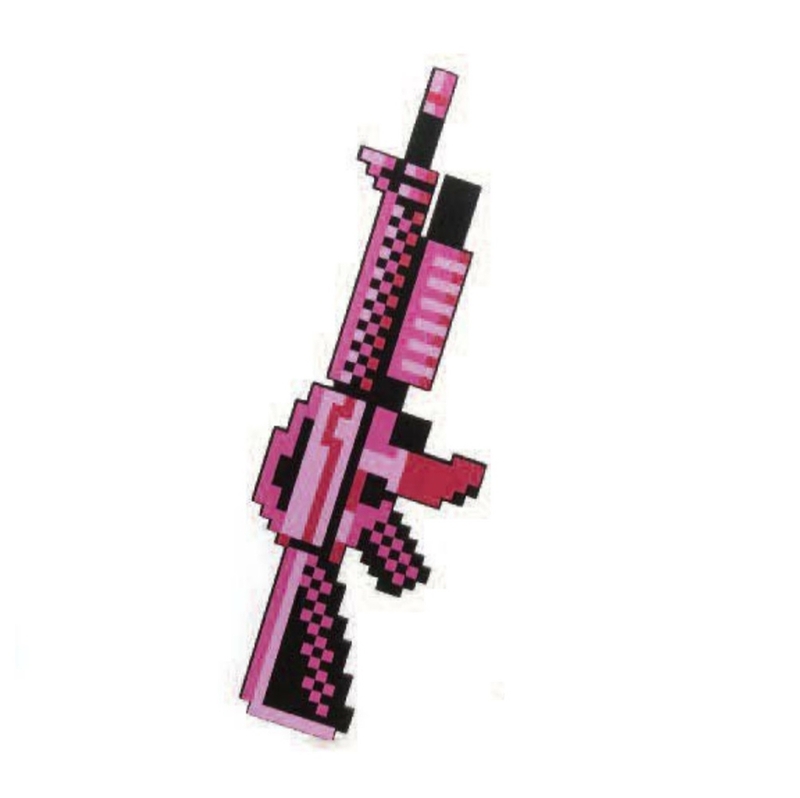 Accessorize your gamer's Halloween costume with this weapon accessory. 10 in. x 30 in.